Well it didn't just arrive I had to make a 180 mile round trip to collect it. 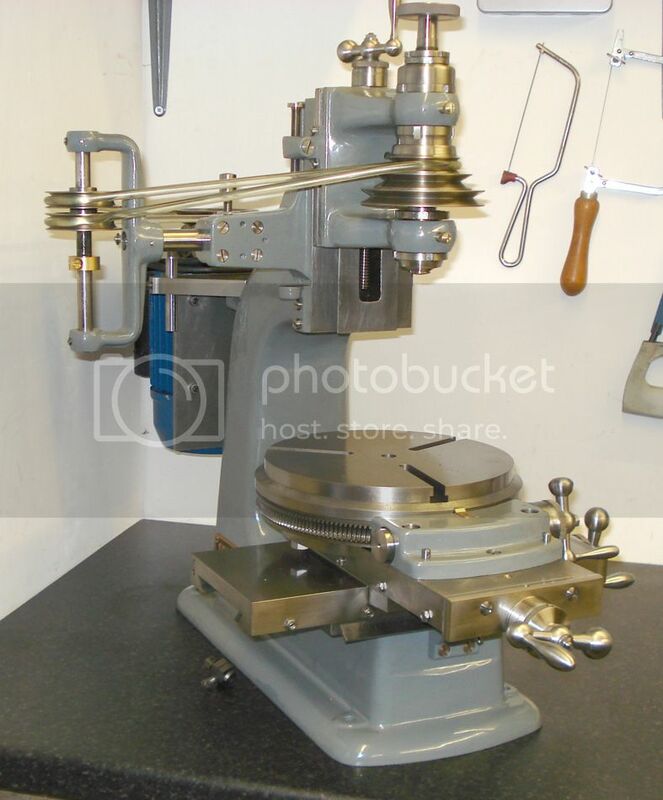 This is my new baby Jig Borer, you might think it looks like a BCA mk2 , but it is in fact the predecessor of the BCA and was made by Boley & Leinen just before the second world war. I bought it from an ex employee of Bentley cars, he was a real perfectionist and would not let me have it until he had totally rebuilt it. I'd go to the moon for that beauty! Congrats. Very nice! lathes.co.uk might like some pictures of that for their archive. Wow looks fresh out of the factory fully restored and iexpect smooth as a baby bum . very nice little jig borer. It's beautiful; all most too nice to use. Quite a beauty, Phil, and I understand the emotion but in my neck of the woods it is described as "Happy as a puppy with two peters." The alliteration is important! That drop dead gorgeous Phil. Serious tool envy here!! It looks like it just came out of the factory. That machine looks like it means business. Excuse my ignorance guys but what does a jig borer do? 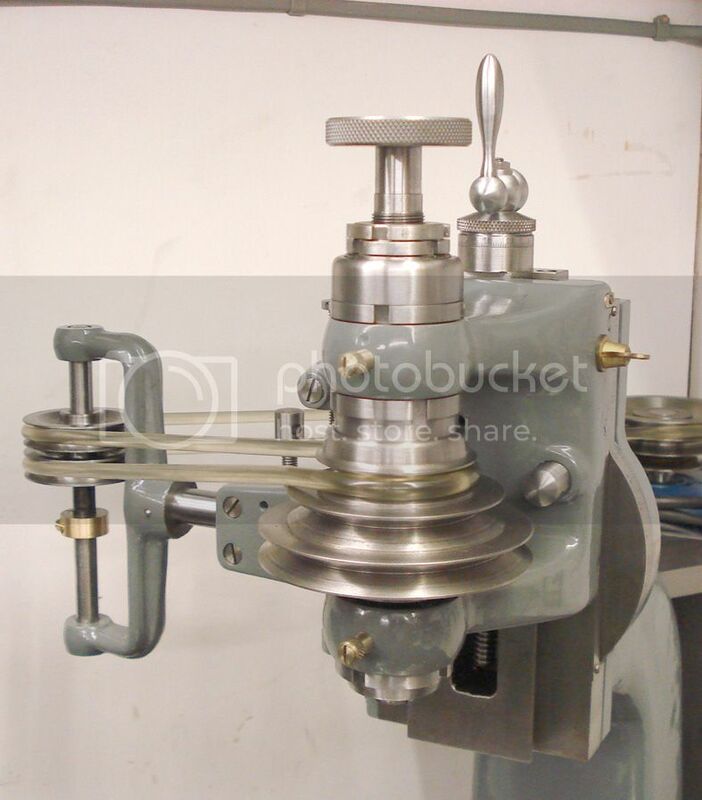 Looks like a mill with a permanent rotary table. I am in awe its a beauty as has been said like straight out of the box. Pardon my ignorance but who's the maker? I see she has got the second pair of jockey wheels I mentioned the other day. You might want to angle the front jockey wheel bracket in use to get a better belt line, if you decide to keep the current motor arrangement. 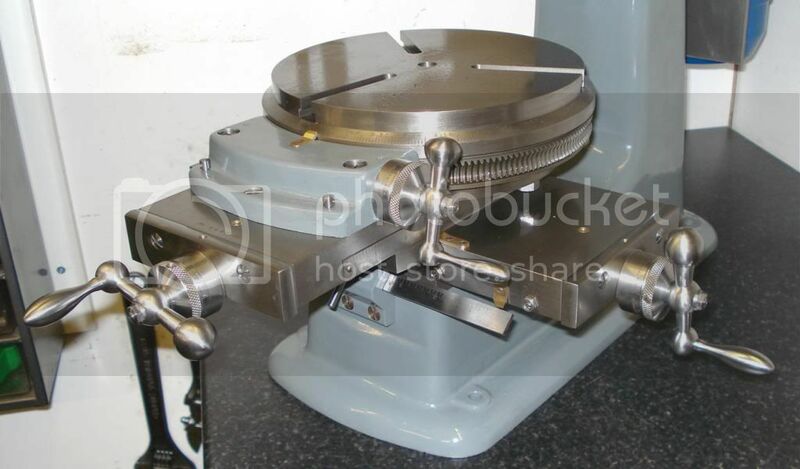 Do you know what spindle speeds can you get? Did she come with any collets or tooling? Lots of info of the type here. Not used one myself but looks very useful! A jig borer precisely locates and bores precision holes. So the facility to locate accurately is utmost...so the screws are very accurate,..as well as the rotary table, and geometry is very good. Moore Jig borers and grinders are straight, square and perpendicular in 20 millionths range....and the lead screws, which are custom lapped, have a pitch error that is 80 millionths low per inch....this is to allow for the screw growing with temperature once the machine has run for a while. The idea is you mount the work, dial in the position and go...and it's right on the "fly (*@(! " which makes making these parts more cost effective. 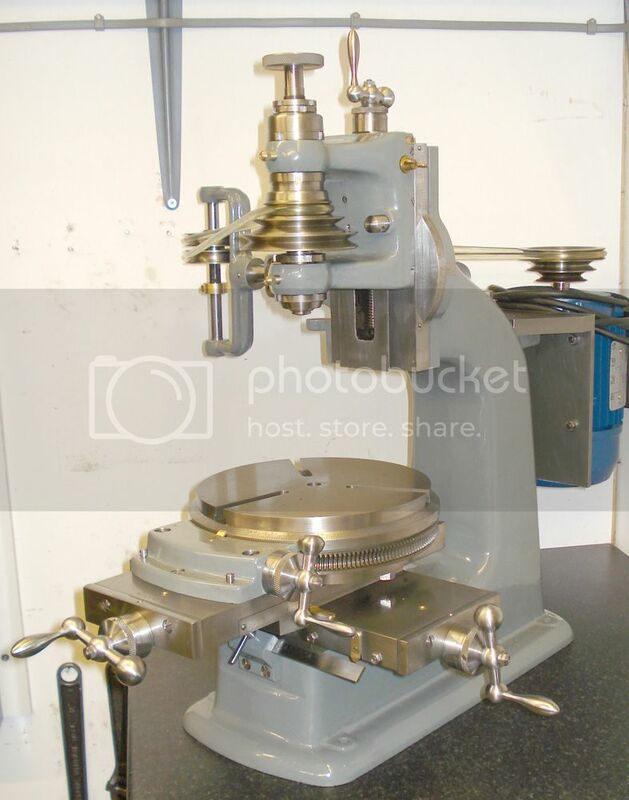 I can only assume this is one in miniature...probably for the watchmaking industry.....I can see a watch plate on that table very easily...carefully laying out pivot holes. Bad Behavior has blocked 15822 access attempts in the last 7 days.